The journey to the next level continues as Senator Andy Uba rally's down to Amichi, Nnewi South Local Government Area, where he commissioned classrooms complex at the Central Primary School, Amichi Nnewi. Barr. Mrs Sharon Ikeazo (South East Zonal Coordinator, Buhari Campaign Organisation) also graced today's event and urged Uba's supporters to come out in mass and vote for all the APC candidate as the administration holds great plan for the people especially women. 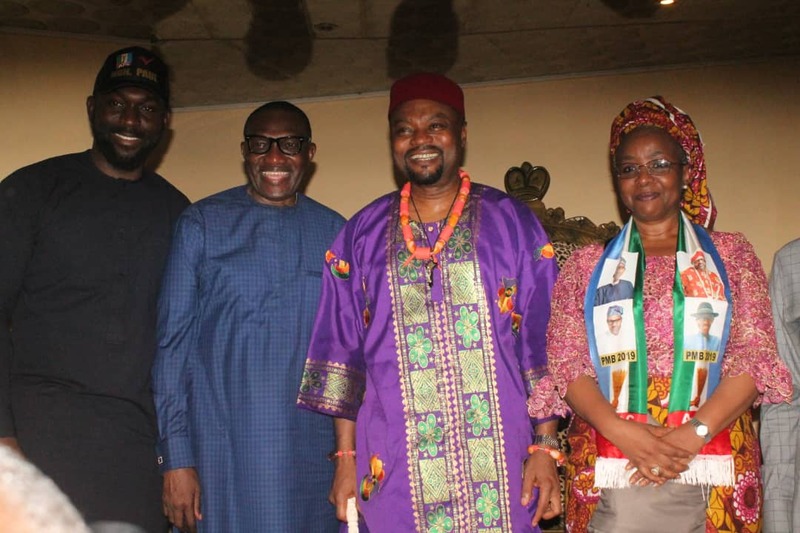 The Senator and his entourage also made a stop at the traditional home of the community and received the blessing of the royal father, Igwe Obi, Offorbuike Ezeoke of Amichi Community.